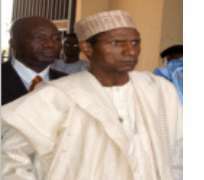 It was yet the most savage indictment of the oil industry by a sitting President, but Yar'adua, who has been trying to wrestle financial concessions from the oil majors made no bones about the fact that the oil companies must help pay for the rehabilitation of the former militants since the oil companies would directly benefit from peace in the region. The pressure seems to have paid off. The Royal Dutch oil giant became the first foreign oil firm to offer help to the ex-militants. Royal Dutch Shell announced it would provide training and financial assistance to some former Niger Delta militants who accepted the government's amnesty. It was not clear how much money Shell will make available to the amnesty participants, but sources tell Huhuonline.com that government agencies have only received N960 million ($6.5 million) out of the N10.14 billion earmarked by the National Assembly for the entire amnesty program. Shell, whose joint venture with state-run Nigerian National Petroleum Corporation (NNPC) accounts for more than 40% of Nigeria's total production, is the first foreign oil firm to publicly offer assistance. Sources also told Huhuonline.com that Shell, which is the biggest foreign energy company operating in Nigeria, will use its small and medium enterprise fund to assist the former rebels in setting up businesses. The European Union has also indicated it would consider providing financial aid if Nigeria asked. President Yar'adua has offered to allocate 10% of Nigeria's oil joint ventures to Niger Delta residents, potentially providing them with hundreds of millions of dollars each year in cash benefits but details of the initiative remain to be worked out in the petroleum bill which has stalled in parliament, where political support for the bill is wavering. Industry analysts told Huhuonline.com that former fighters -- hardened by years of living by the gun -- will need to be quickly retrained and guaranteed a source of income if new militant leaders are not to emerge and use them to resume attacks on the oil industry.